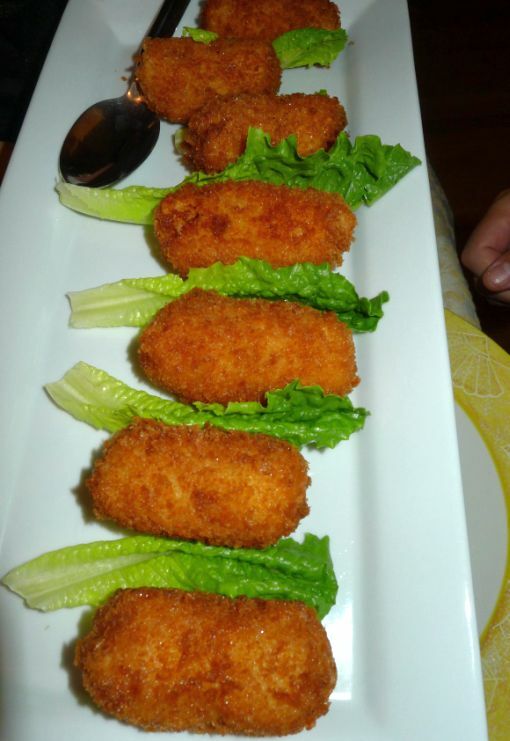 Croquetas are very popular in any bar, tapas counters and in homes across Spain! 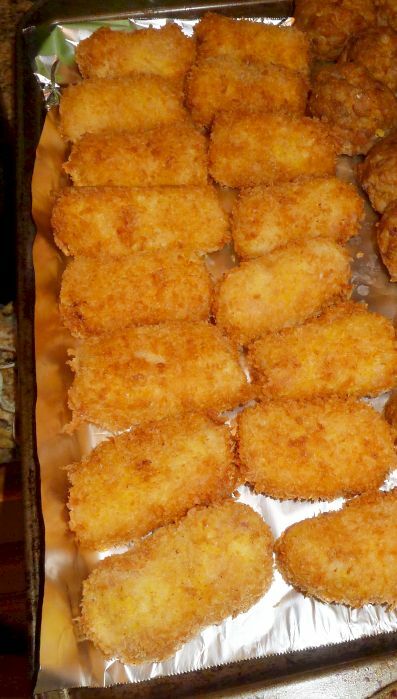 If you have ever been to Spain then chances are you probably ate a few of these croquetas! 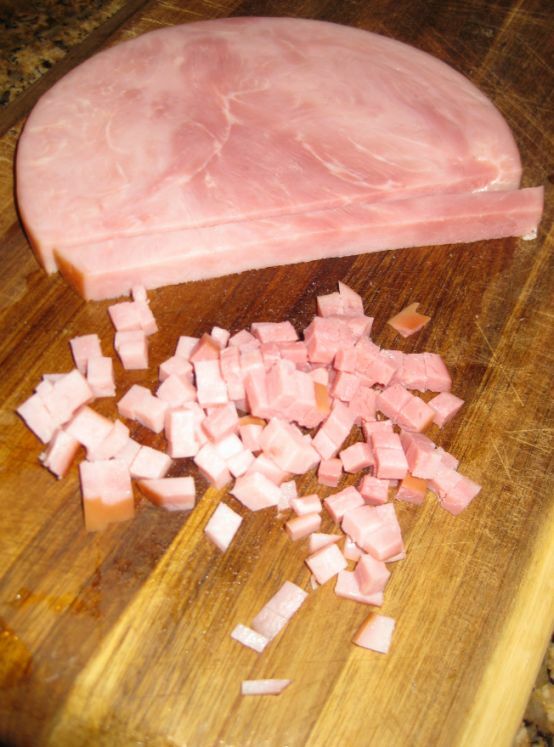 Jamón is the Spanish word for ham. 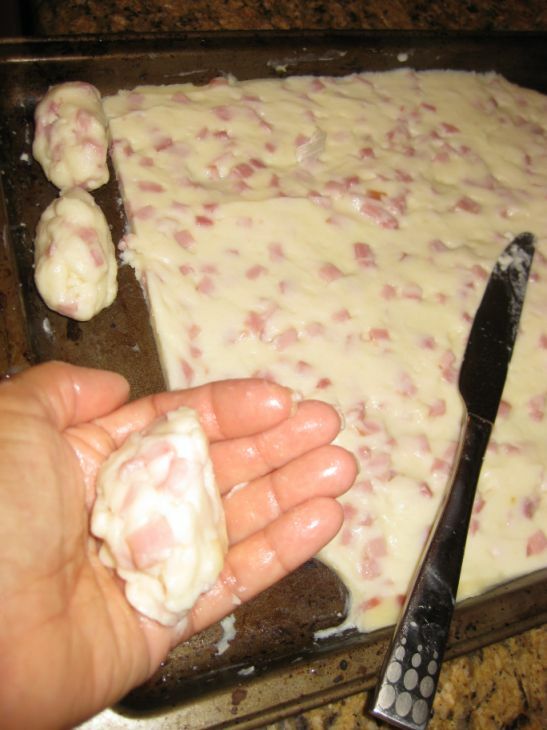 The Jam in this recipe could be replaced with chopped hard boiled eggs, shredded or cut up chicken meat, minced shrimps, chopped chorizo, cheese or just about any vegetable, so this recipe is pretty flexible. 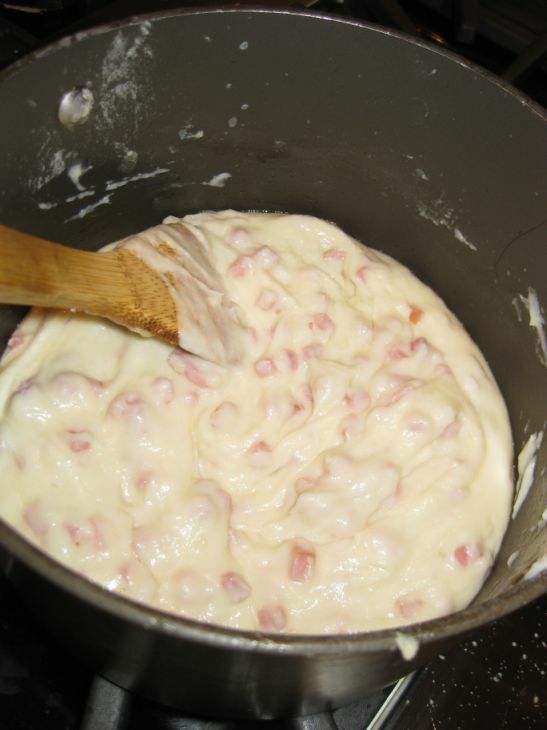 Start the preparation a day ahead to allow the béchamel sauce time to set. 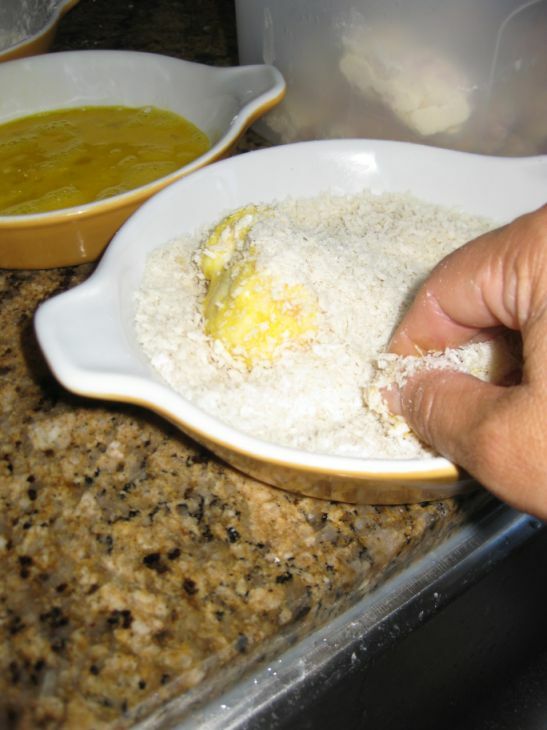 It will make the mixture easier to handle when shaping the croquetas. 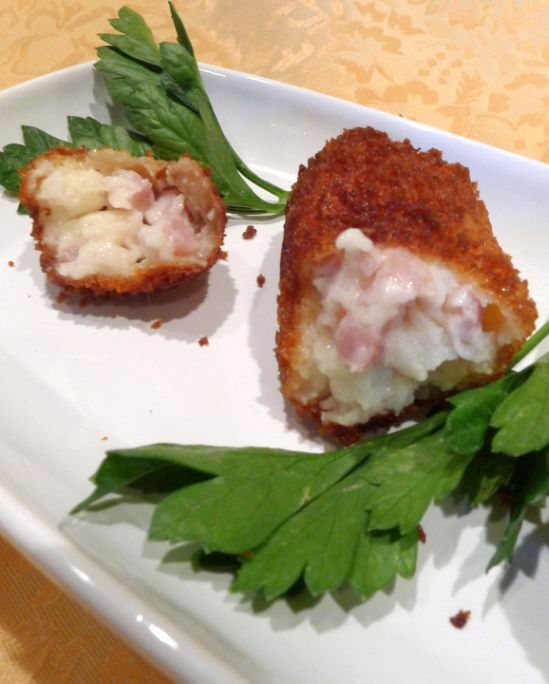 The outside of the croqueta is crunchy and the filling is creamy and bursting with flavor! 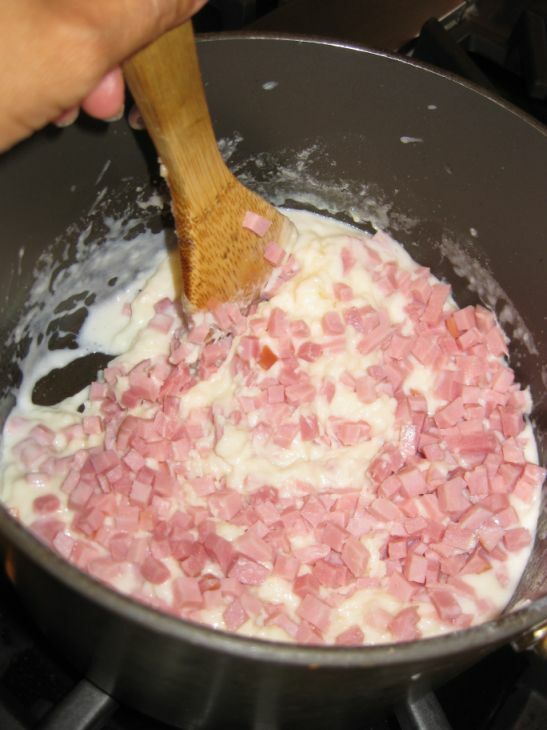 The filling is made with a good béchamel sauce enriched with ham and then deep fried to crispiness! Croquetas are the perfect bite oozing with flavor! Close look at the croquetas! 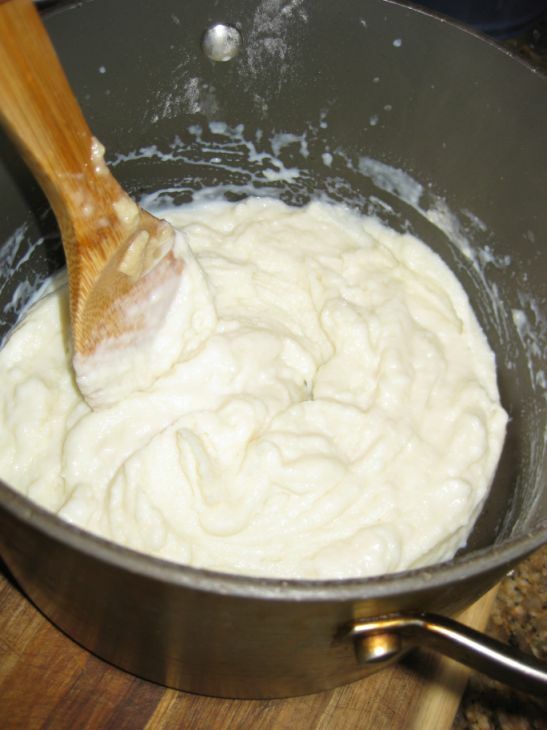 Keep stirring for about 2 minutes or until combined and foaming. Remove from the heat and set aside. 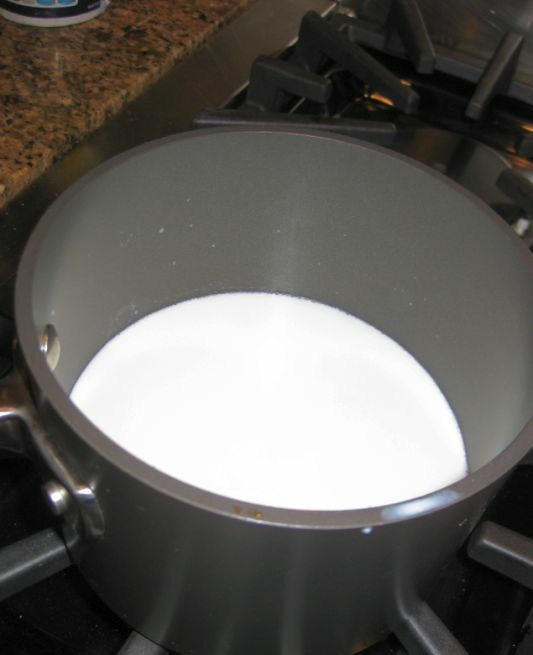 Heat the milk in another sauce pan on the stove over medium heat until small bubbles star to form around the edges. Whisk in the hot milk, on ladle at a time. 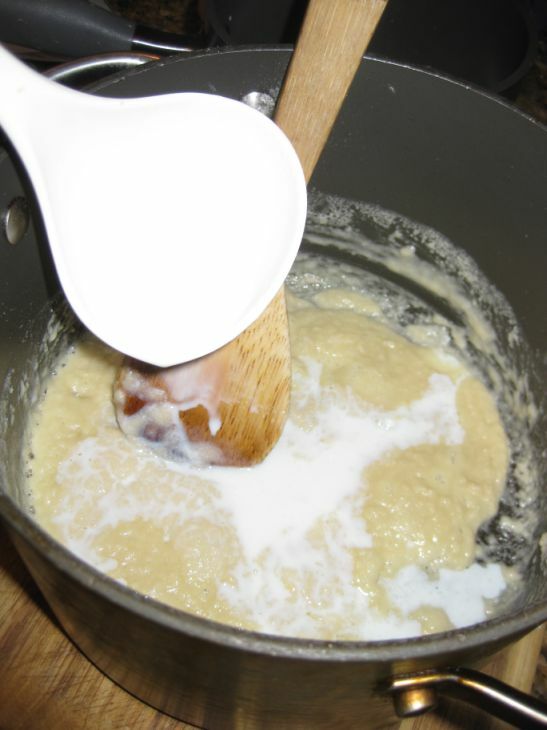 Stir until well combined and keep adding the milk until all are used. Keep stirring until well combined. Put the pan back on low heat. Add the jam into the mixture. Keep stirring until the mixture has thicken- about 1 to 2 minutes. 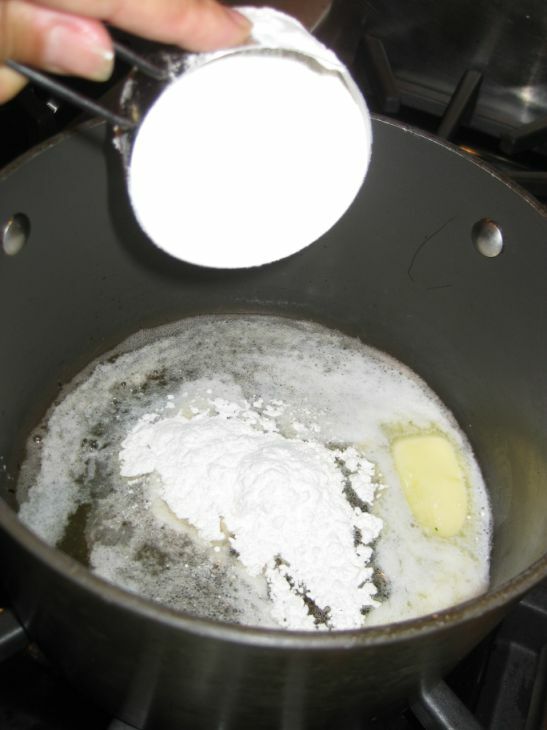 Spread out evenly the mixture into a baking tray and cover loosely with plastic wrap. Let cool to room temperature and then refrigerate for 1 hour. 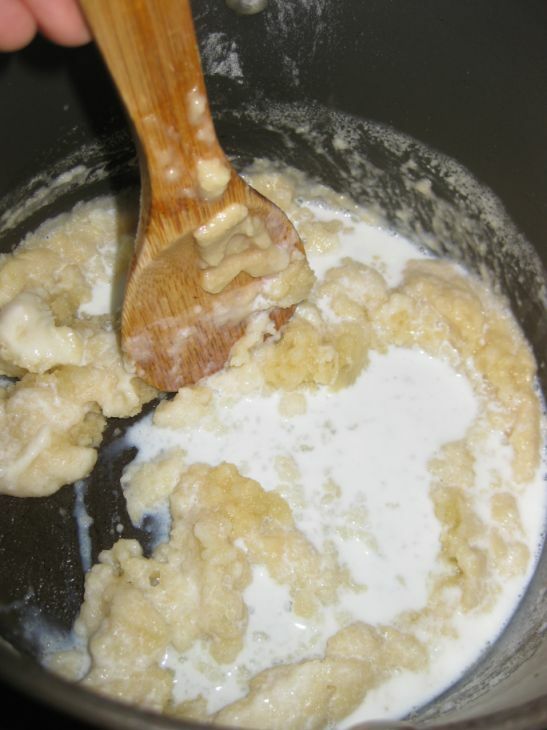 divide the mixture into 16 portions. 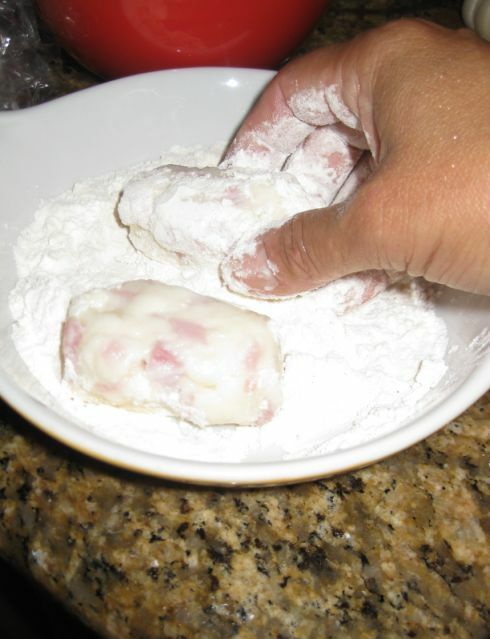 With your hands form the mixture into a log with rounded ends. Line 3 shallow bowls on a work surface. 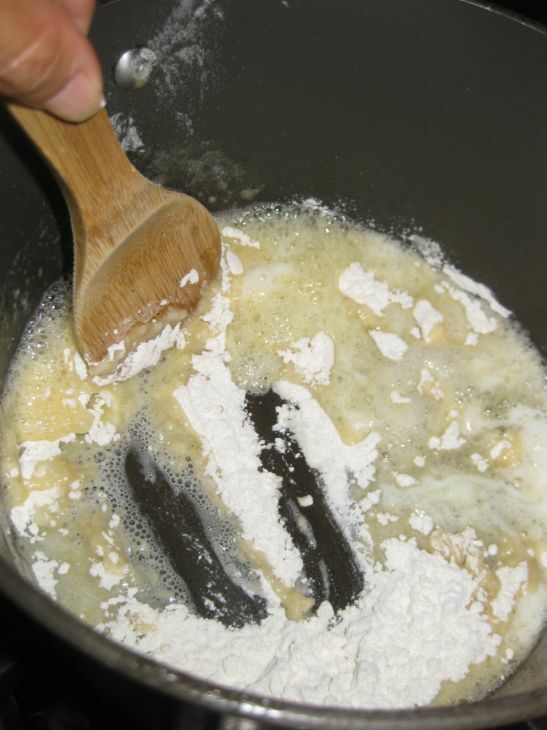 Put 1 cup of flour is the 1st bowl, the beaten eggs in the second, and the panko in the third bowl. 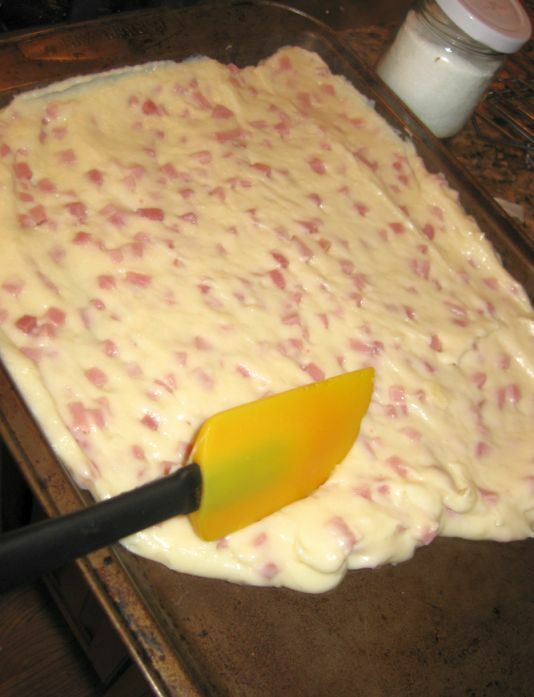 Coat the logs with a layer of flour, then dip the log into the egg wash.. 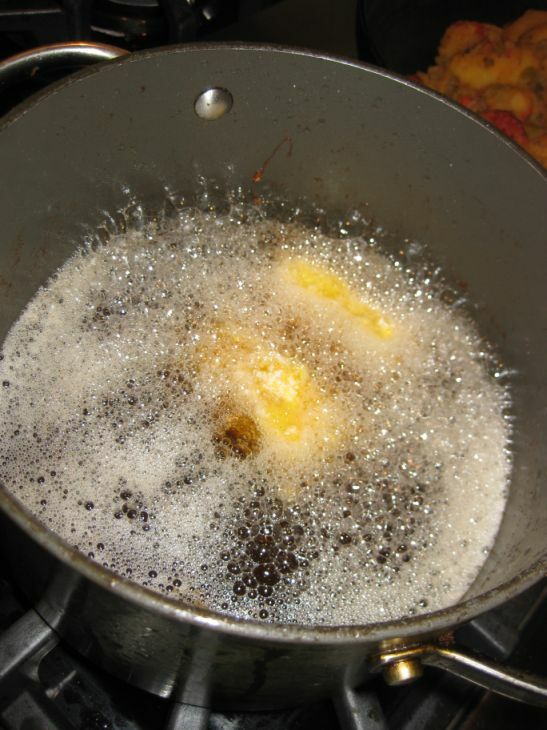 Fill a deep pan with oil and heat until the oil is hot. Drop the croquetas in the pan and fry until golden brown. 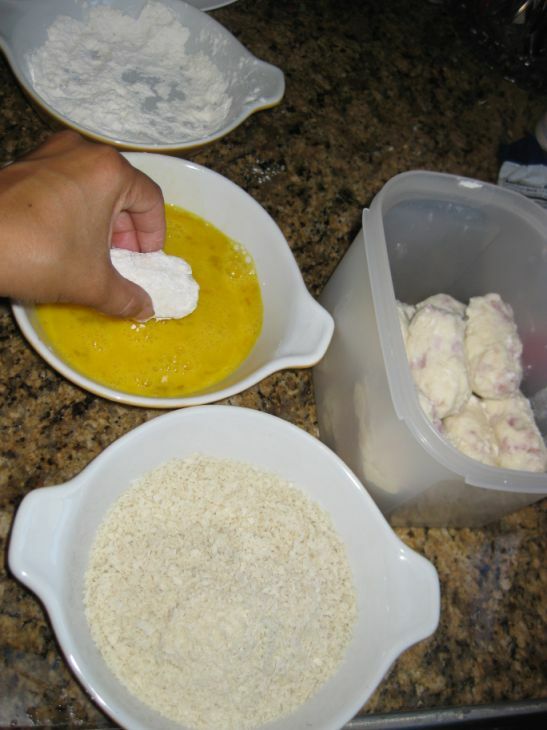 Place the croquetas on a baking sheet lined with paper towel or foil to drain.